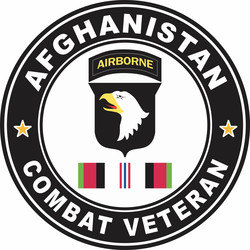 MilitaryBest is proud to offer this 101st Airborne Division Afghanistan Combat Veteran Decal Made in the USA at our facilities in Scottsboro, Alabama using the finest ink and vinyl available. 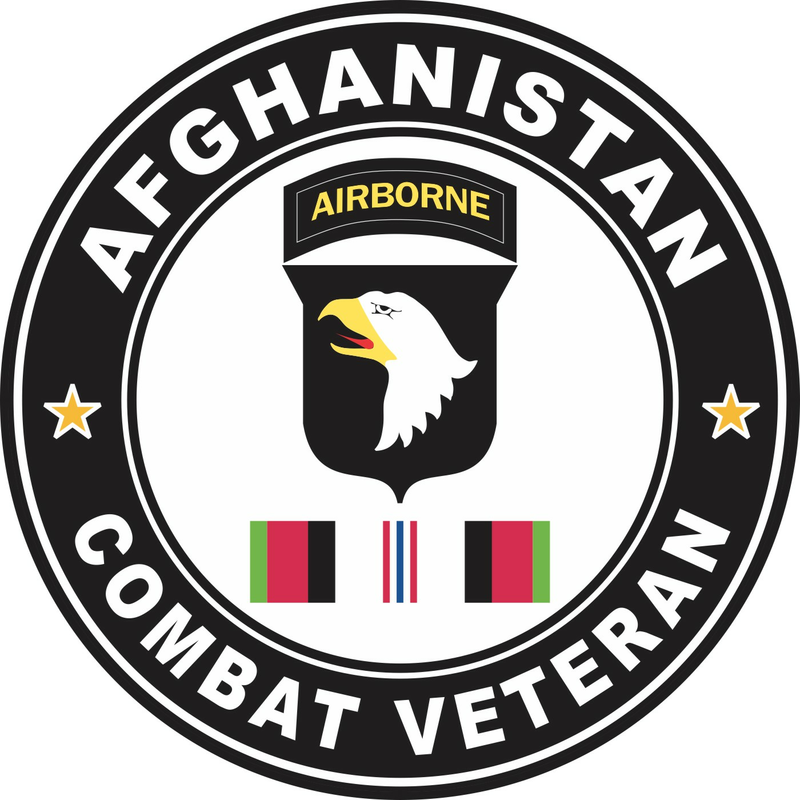 We have been producing high quality Military Decals for over 15 years and we guarantee the quality of each one. A portion of the sale of this decal goes to support the MWR (Morale, Wellness, & Recreation) programs of the different branches of the U.S. Military. For bulk pricing for custom and wholesale decals click here: Custom & Wholesale Decals!